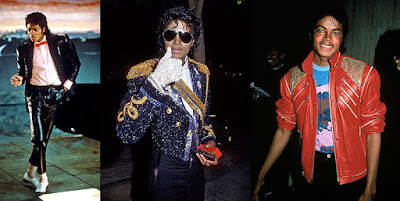 While I am sure the entire blogosphere and media world is still reeling from the sudden death of Michael Jackson, it felt wrong not to pay at least a small tribute to him in my posts today. I, as we all were, was shocked to hear the news, driving up to my boyfriend's and frantically trying to find more info on my BlackBerry (while not getting in or causing massive accidents...not smart driving on my part). Sadly, the rumors did turn out to be true. I hope he is remembered for his music and the lasting influence on the music industry, his fashions, and unforgettable performances, over his personal life ups-and-downs. While many different people may describe him many different ways, in short, he was an icon. What is your favorite MJ/J5 song?